You ever wanted to become a pilot and wished to see yourself flying and touching heights of the sky. You can get your dream true now by using the Face in hole website i.e. photomica. The website has an online photo editor that can create various photos by simple method. One can save the photos to the computers. 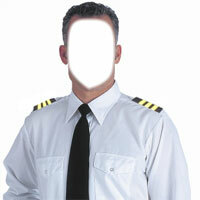 You can see the face of the online pilot is removed on the page and you can add your face to this hole and become a pilot. These photo effects can become a strong medium to express your inner thoughts and focus on your dreams being funny on the other side.